Join us for our 3rd annual celebration of Makers and STEAM in our community at the City Opera House. MakerFests celebrate the Maker in all of us and encourage open, creative play centered around hands-on activities. 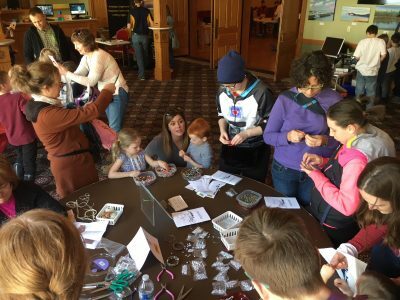 Included in this program is a Littles MakerFest (ages 2 – 6) coordinated by members of the Great Lakes Children’s Museum and TADL’s Youth Department. the Adult, Teen, and Youth Departments at TADL. This event is free for all to attend. Doors open at 10 a.m. Thank you to GoGo SqueeZ for sponsoring a snack to all youth attendees.